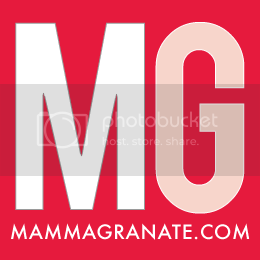 mammagranate: Can You Answer This Question? It made me think. At the time I had just signed up for my first race, the Broad Street Run, and I was happy to have an answer. I feel like I go through life doing the same thing every day. Wake up, eat, take care of the kids, explain why I'm late to ABC, blah blah blah. Yes, we go on vacation, have some variety in our existence but I very rarely step outside my comfort zone. Last night we put the kids to bed, Jared was upstairs and I was settled on the couch in my pjs and my cup of tea. I texted my friend, Dana, who I knew was entertaining some people and got some Primo Hoagies, one of my favorite foods. I told her that if she had leftovers that she was welcome to feed me and my sister in law lunch. (I'm so nice, aren't I?) She texted back: I ordered too much. Come over and have some! I was in my pjs. I had a full cup of tea. I was sitting by myself on the couch ready to relax. With my excuse in hand I almost texted that I couldn't but I changed my mind. I decided to do the opposite and just go. Well it turned into a super fun night, I learned how to play Bunco and I made some new friends. I know that it doesn't sound like much but, in my world, it is totally foreign. Best part? When I got home Jared had changed the sheets and started cleaning the kitchen. So I ask you, when is the last time YOU did something for the first time?